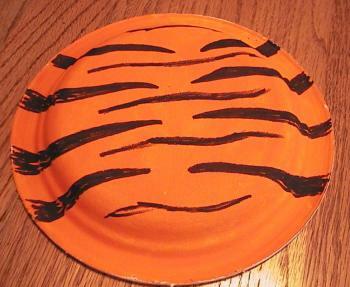 I've had a lot of requests for more paper plate crafts. 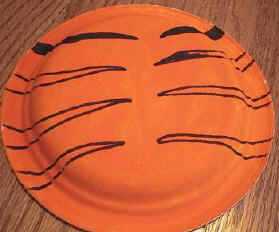 This Tiger is made with a paper plate. I've provided templates for dinner sized and snack sized plates. If you don't have paper plates, don't fret! 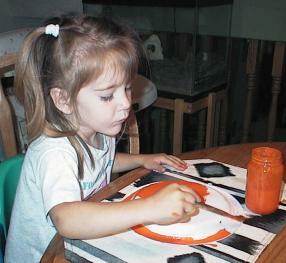 Just take a regular plate and trace it onto a piece of cardboard (old cereal boxes work great!) or use a margarine/ice cream container lid. Glue on face (paper ears, eyes and nose. Or skip the template and cut/draw your own pieces on construction paper and glue them on.